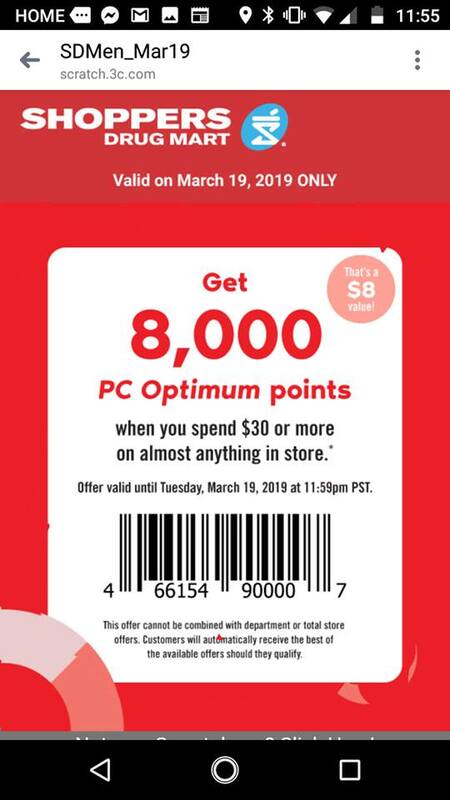 Today only, get 8,000 PC Optimum points when you spend $30 or more on nearly anything in the store. This offer was sent by text this morning, to those of you registered to receive them. If you didn’t receive this offer but would still like to use it, you can simply screenshot the image above and scan it at the cash in addition to your PC Optimum card. The 8,000 points will appear immediately on your receipt. This offer will combine with your personal offers, such as 20x the points on milk, or 200 points per dollar for no name butter etc., but it will not combine with other personal offers like 20x the PC Optimum points when you spend $50, etc. This offer is just slightly less than 27% back, so a great deal to use to pick up a few items you may need.